Allison is the Operations Manager for NKB (Non-Voting) and handles the majority of the administrative tasks for the league. 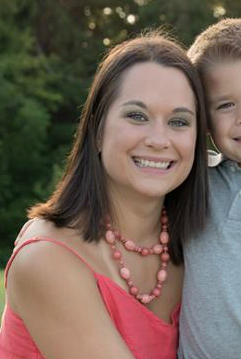 Allison began working for NKB in Fall of 2017, and her husband has coached youth baseball since 2014. She is extremely excited to be in her role at NKB and hopes to assist in providing a wonderful experience for families across Northern Kentucky. Allison looks forward to watching NKB continue to grow, and strives to maintain communication with parents, coaches, and players. Allison grew up in Lexington Kentucky, where she graduated from Lafayette High School. After high school, she attended the University of Kentucky where she received her Bachelor of Arts in Communication and her Bachelor of Arts in Sociology. After graduation, Allison worked as a Case Manager for a law firm in Lexington before starting a family and becoming a stay at home parent. Allison and her husband, Trent moved from Lexington to Independence in 2016. They have three boys, Brighton (7), Cason (4), and Deacon (1), and two Great Danes, Emmitt and Corbin. They are an extremely house divided family; with Allison cheering on UK, and Trent being a die-hard Card. They do however agree on being ever-hopeful Cincinnati Reds fans. Along with working for NKB, Allison loves to snowboard, exercise, and is a huge animal lover.